Finding pumping and nursing friendly clothing can really make you feel limited in your outfit choices. You want something with easy access for pumping or feeding your baby, but you also want it to be cute. Suddenly picking out your outfits becomes less of what’s cute and more of what’s practical. Many moms forget this part. You buy clothes while you’re pregnant to accommodate your growing belly bump, but simply make due with what you have when it comes to the postpartum stage – which usually lasts longer than your big bump did! 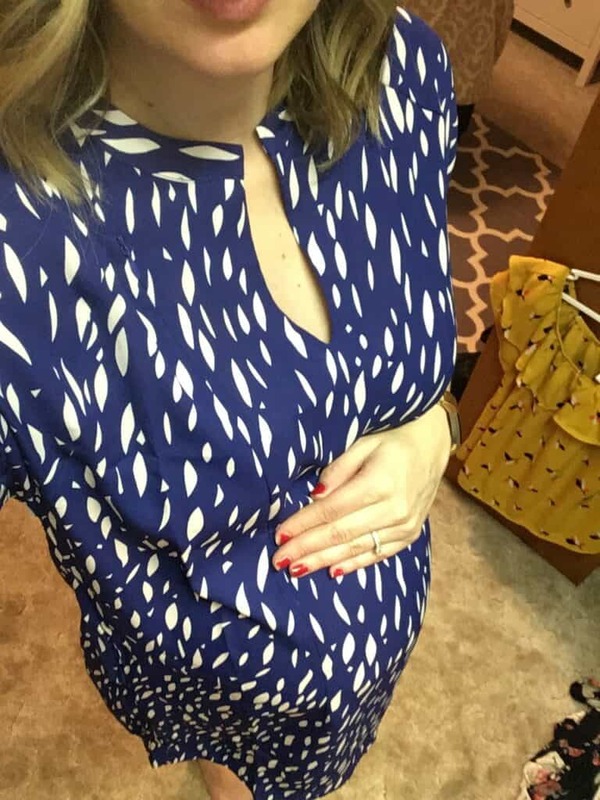 I have a new mindset with my current pregnancy – to invest in a few good nursing friendly pieces of clothing. These can make you feel comfortable, fashionable, and more at ease while you’re figuring out how to breastfeed and pump – especially if you need to do it in public. There are a few different nursing friendly pieces of clothing you can consider. Some have obvious places for breastfeeding, while others are more discrete or look like it’s part of the style of the clothes. Those are my favorite pieces of breastfeeding friendly clothes! The ones that don’t look like their nursing clothes. For more on nursing friendly clothing check out The Best Dresses for Nursing Moms. 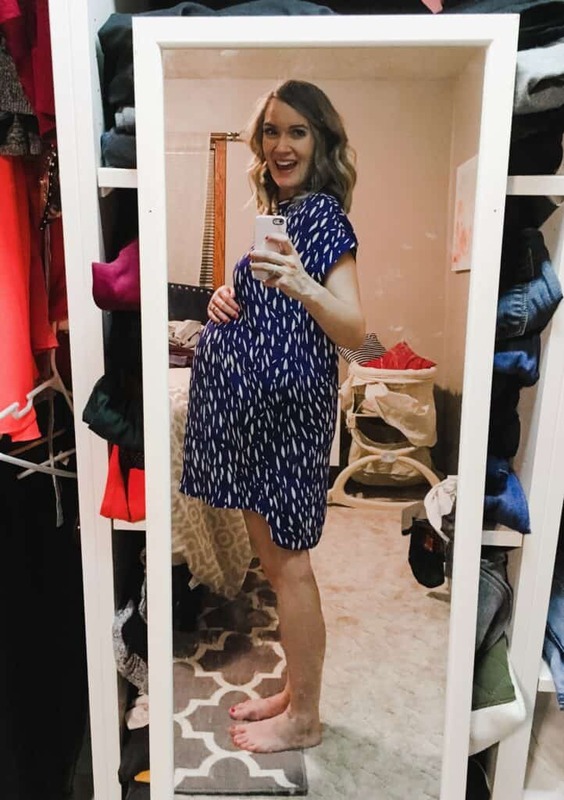 I was recently sent a dress from Loyal Hana to try and let me tell you – it’s going to be a staple in my wardrobe when I start breastfeeding! 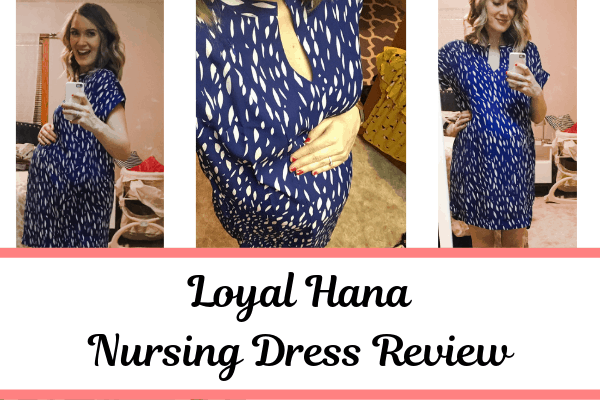 Now I’ll get down to the full review of this Loyal Hana dress. Keep in mind that this dress is meant to be maternity AND nursing friendly – so worn during pregnancy and postpartum. The fabric of this dress is so comfortable. It’s 100% polyester, and I haven’t had any trouble with wrinkles! The Cybelle is soft and light – but not see through. The fabric feels like it’s high quality and will hold up well during my postpartum pumping and nursing stage. Unless you’re wearing it daily, I also feel it would last for future babies. Which is always a win when you’re choosing great investment pieces! The Cybelle is meant to be a flowy dress. The top near the bust is more fitted, and then the rest of the dress flows over your sweet belly bump or hides anything postpartum you’re not quite ready to show off. I had read a few reviews before choosing my size that mostly recommended sizing down. I decided to order the size small but was torn between the small and the extra-small. Since my bust was quite large while breastfeeding my first baby, I decided to stick with the small and hoped for the best. Right now, at the end of my pregnancy – the small fits me like a dream! I think I could have still sized down and been okay, but may not have been able to wear it quite as long during pregnancy. Check back in a few weeks after I’ve delivered my baby and I’ll give you a quick size update for wearing this fun dress postpartum! Pssst… it’s my plan to wear this as my Easter dress this year and I can’t wait. Look here for more great Easter dresses for nursing moms. One of my favorite parts about the fit of the Cybelle dress, is that it’s just a little longer in the back. 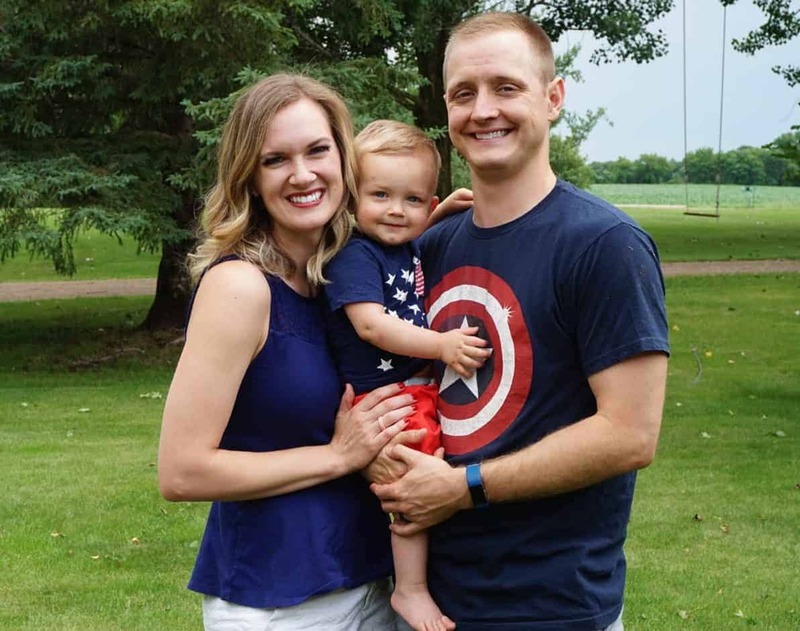 I never once was worried that it was too short, as even with a pregnant belly – it hits just a few inches above the knees. Since I’m a Minnesota Momma, I love that this dress can also be used during cold weather by being paired with a classic black pair of leggings (a pregnant momma’s must have). It creates a cozy, yet so comfortable, dressy look. Did I mention yet that this dress has pockets? Just like the zippers, the pockets in the Cybelle are so well hidden and well placed (without causing excess bulkiness), that I actually forgot it had them! I was so excited to tell my husband about the pockets I had recently re-discovered the other day while wearing this dress! Since I’m still pregnant, I can’t speak on the ease of using the nursing friendly zippers – but I can tell you that they’re SO well hidden and seem like they’ll work great. They slide easily and blend in perfectly to the rest of the dress. PS I’ll update this post as soon as I’m a postpartum momma! 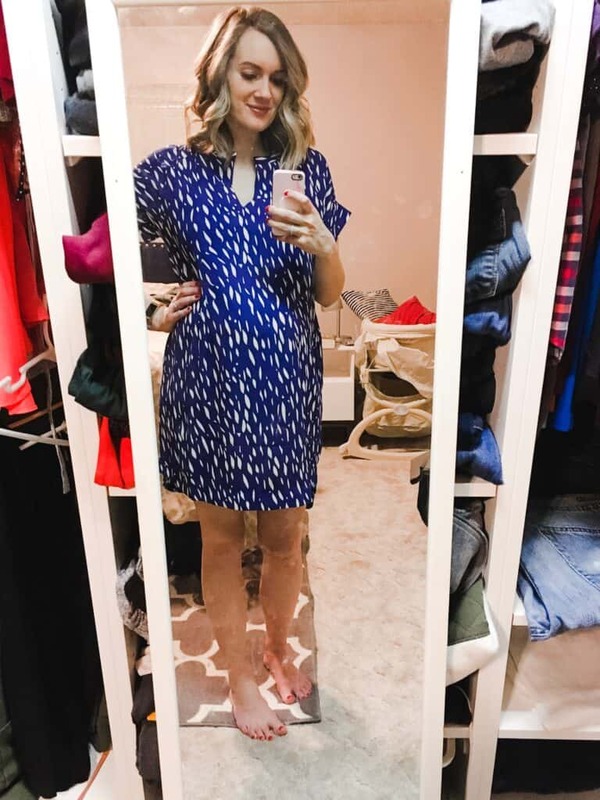 While this Loyal Hana dress will definitely become a staple in my closet while I’m breastfeeding and pumping – it is definitely what I’d consider an investment piece. It’s a little more expensive, but should last you through more than one baby. Use code: MNMOMMA for 20% off your purchase! Would I Buy From Loyal Hana Again? While I would love to buy this whole collection, there’s no way my budget (or I) could stomach it. Instead, choose a few key pieces that are important to you – for me this is a dress that’s nursing friendly. Then find budget friendly alternatives for the basics that you’ll be wearing around the house or as nursing tanks underneath regular clothing.